Diseases of the nervous system are a relatively small but vitally important part of medicine. There was no scientific basis for diagnosis or treatment until the seventeenth century when Dr Thomas Willis (1621-1675) and his team tackled anatomy by dissection of the nervous system, physiology by animal experiments and pathology by post-mortem analysis. It was Willis who first used the word "neurology" and his team, who were among the founders of the Royal Society, included Christopher Wren who, besides being famous as an architect of London's churches, drew the first modern diagram of the human brain. Developments in our knowledge of the nervous system in the following centuries, and the unique importance of clinical neurology, became globally recognised through the work of Whytt, Heberden, Hughlings Jackson, Gowers and many others.The work and discoveries of these eminent specialists were extended with the introduction of such neurosciences as neurophysiology, neuropathology and neuro-radiology, and this is the first comprehensive account of a battle with the unknown by determined practitioners. Diseases of the nervous system are a relatively small but vitally important part of medicine. There was no scientific basis for diagnosis or treatment until the seventeenth century when Dr Thomas Willis (16211675) and his team tackled anatomy by dissection of the nervous system, physiology by animal experiments and pathology by post-mortem analysis. It was Willis who first used the word "neurology" and his team, who were among the founders of the Royal Society, included Christopher Wren who, besides being famous as an architect of London's churches, drew the first modern diagram of the human brain. Developments in our knowledge of the nervous system in the following centuries, and the unique importance of clinical neurology, became globally recognised through the work of Whytt, Heberden, Hughlings Jackson, Gowers and many others. 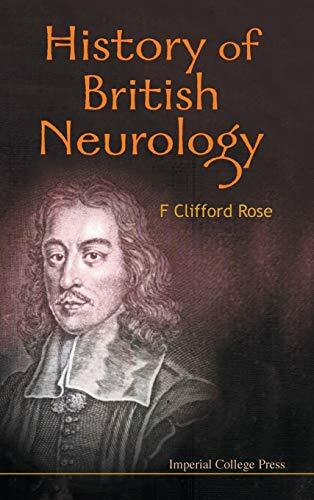 The work and discoveries of these eminent specialists were extended with the introduction of such neurosciences as neurophysiology, neuropathology and neuro-radiology, and this is the first comprehensive account of a battle with the unknown by determined practitioners.